Your unique energy: How you act, what you say, think, creates your life, business, and environment. Your true nature inside and the living nature all around you ignites your story. Is your present reality feedback reflecting your true nature, your vision? Everyone needs objective feedback to find the best in themselves and in others. Feedback from a trusted source reflecting your story; what you are doing, communicating…what is showing up for you…movement or “stuck”. Are you aware of what you REALLY CAN DO? My coaching goal is to find your CAN DO from what is unique in you. To give you a chance to express your story; to lead, define, and create your life from the authentic base of your unique heart purpose. Feedback in the form of one-of-a-kind heart purpose discovery; learning how to merge mind and heart, “showing” your true story in step-by-step sessions. Single Sketch Quests and coaching packages are available from 3 month and 6 month packages. Call for details and fees! ……..• “…She (Paula) has been equal parts encourager and guide, pusher and puller, researcher and coach to establish my new brand identity. I continue to seek her council and expertise in refining my “voice” and “story”. Using visual quick sketch tools to record and show you key qualities, share with others to ignite change and insight. 1 hour sessions that uncover challenges, ideas, strengths, process. Finding the heart of a brand is backed by my many years of Creative Direction for major corporations. Telling your story via a brand birthed with your purpose ignites a huge brand bonfire; a beacon that others are emotionally drawn. My brand discovery process marries strategy with emotion (heart) to help you find REAL mission, REAL vision, and of course REAL purpose. So, get REAL, give me a call to get your brand working with and from your heart purpose. Live and work in a renewed sense of peace and confidence, reduce stress, increase prosperity, create mental clarity. Your environment is alive with information and feedback on what is in harmony or out of flow for you! Call for a feng shui session, get back into positive flow! 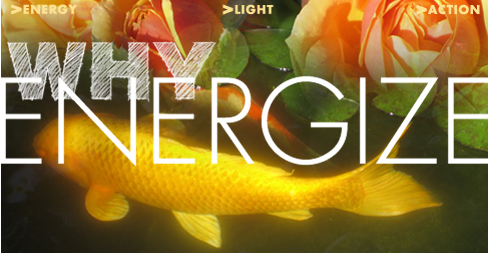 Click the Feng Shui tab to find out more! Break free of old habits, patterns, limiting ideas and emotions by using some powerful alternative methods. Give me a call to discuss alternative consulting, coaching, and teaching methods of Huna, Feng Shui, dowsing, and flower essence modalities. Click here for a Dowsing pdf to learn more. Click here for a short pdf about Flower Essences.